Author Q&A: Lori McNee, "Fine Art Tips with Lori McNee"
Lori McNee, author of Fine Art Tips with Lori McNee: Painting Techniques & Professional Advice, is a professional artist, art blogger, art marketing expert, social media influencer, and the owner of FineArtTips.com. She has been featured in The Wall Street Journal Online, named a #TwitterPowerhouse by The Huffington Post, and writer for F+W Media publications. Lori is also an exhibiting member of Oil Painters of America and the American Impressionist Society. Lori is a panelist at the #140conf/State of Now in Los Angeles on November 14, 2016. For more information and to buy tickets, click here. Lori talks about what it’s like to write a how-to book, juggling her writing process along with her other professional and personal pursuits, and the influence of social media on the development of the book. What inspired you to write Fine Art Tips? In 2009, I began my blog, FineArtTips.com, as a way of “giving back” and to share my professional knowledge with my fellow artists. Blogging and networking on social media have given me many wonderful opportunities, and literally changed my life! I have made valuable real-life connections through social media and blogging. One such relationship is with F+W Media, the largest publisher of many arts and crafts magazines, and North Light Books. F+W originally discovered me through Twitter and asked me to write for their various publications which include the ArtistsNetwork.com blog, the Artist’s Magazine, North Light Books, Artist’s & Graphic Designer’s Market book, and Photographer’s Market book. My articles and contributions were well received and my publisher eventually offered me my own North Light book title. When conceptualizing my book, I was inspired by my own popular semi-collaborative blog, thus the name, Fine Art Tips with Lori McNee: Painting Techniques and Professional Advice, where 25 internationally known artists share their art tips, demos, and business advice. What was your process for writing it? Getting it published? As previously mentioned, I am lucky to have had a publisher in place from the beginning of this project. Most authors have to send in proposals, which go through many gargoyles at the gate before being accepted or rejected. I am grateful I was able to bypass that part of the process. This is just one reason why I am such an advocate for social media networking and building relationships within your online community. F+W Media’s North Light Books publishes nearly 600 book titles annually, so they have a detailed formula that works for their audience. Upon signing the contract, I was assigned an editor, a deadline, and a schedule to follow, plus half the payment up front with the other half paid upon completion. 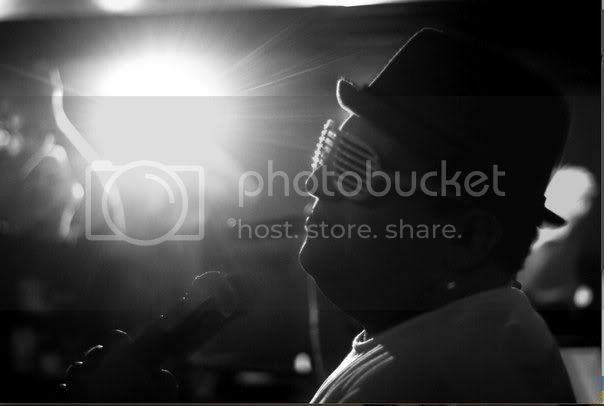 I was also able to negotiate for more money and extra royalties due to my large social media following and influence. North Light Books sent me a large, two-inch binder filled with detailed instructions entitled, “How to Make a North Light Fine Art Book.” This was my road map down a path that I had never trod before. It had clear instructions, ranging from how to create an outline, a page plan, tips for communicating with your editor, and even marketing ideas. The process, from start to finish, took me two years to complete. In what ways was it similar to/different than blogging? My goal was to have my book simulate my popular, semi-collaborative blog, which features demos and tips from guest artists and bloggers from around the world. My book is written with a friendly, conversational tone. That said, my book is more formal in the way it was written, and it required a lot more attention. Plus, everything had to be approved by my editor. What was your favorite part of writing it? The greatest challenge? It was such an honor to work with some of the greatest artists of our time! A few of these artists are very private, and eccentric. In fact, they had previously refused to have their work published by any F+W magazines or books. My publisher was so impressed that I was able to get them to contribute to my book; that was the power of social media in action. I had built up friendships on Facebook, and these artists trusted me. However, working with serious artists is a bit like chasing butterflies around with a net, or herding cats. Artists are terrible with deadlines and modern conveniences, like answering the phone and email. I had to push back some of my deadlines because my contributing artists were late. Creating the page plan layout (book dummy) was quite challenging. I had to design my book to fit within a specific amount of pages (144, to be exact). I had to keep my text to around 20,000 words, and plan for front matter, back matter, and page spreads, while keeping in mind the text and captions. Tips for writing in the how-to genre? At first, I thought writing this how-to book would be easy, especially since that’s what I do on my blog. But North Light Books has a very strict process for writing how-to demos. After my editor’s approval, I followed my own outline and created a page plan, which was the layout for each page of the book. The how-to genre is image-driven, plus artists are not big readers. I wrote an informative opening to each chapter and introduced each guest artist. In the how-to book genre, it is important to have high-quality images to illustrate your demonstrations. Also, each caption should tell the reader which tools and techniques should be used to achieve the results shown in the picture. Each caption should be 60-100 words. How-to demos should have friendly, easy-to-follow instructions that instruct the readers through the step-by-step process. Your favorite three tips for would-be artists? In this day and age, it is important for artists to think of themselves as small business owners, use good business principles, and have an excellent product to sell. Do not over-saturate the market; people attach more value to things that are few in quantity. Artists are concerned with sales and marketing; however, I encourage artists to build their brands, create their stories and persona first and foremost, and then the sales will follow. Art comes from the artist’s soul, and most collectors want to know more about the artist. A strong brand helps create your story and a sense of mystic. The biggest mistakes I see artists make online are poor relationships and poor content. Remember, social media is not just for selling, it is for creating! Create relationships and interesting, sharable content that isn’t strictly self-promoting. Don’t underestimate the power of online networking. It has opened many doors for me. Create a workable schedule, and be disciplined with your time. Surround yourself with supportive people who want to see you succeed. What do you know know that you wish you knew before you started writing it? In retrospect, I wish I would have better understood the time commitment it takes to write a how-to book. I would have declined other obligations, like gallery exhibitions, and strictly focused on my book. I was so busy juggling my art career, writing, blogging, and family life, I didn’t have adequate time to create the demo I wanted to do for my own book! Luckily, I was able to pull something together, but it wasn’t exactly what I had visualized. All in all, I am pleased. 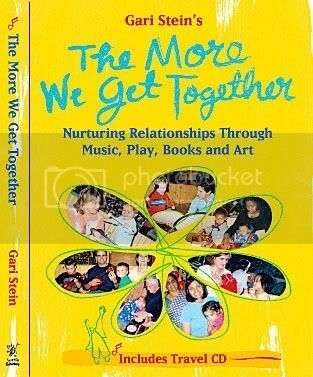 Author Q&A: Gari Stein, "The More We Get Together"